New Leeds United Signing Lee Erwin. Leeds United have added to their striker options for the season ahead after completing the signing of in demand striker Lee Erwin from Motherwell. The 21-year-old has signed a three-year deal and is the club’s second addition of the summer following the arrival of goalkeeper Charlie Horton yesterday. Erwin was highly sought after in Scotland, with champions Celtic among the clubs reported to have shown an interest. Motherwell offered him a new deal in a bid to persaude him to stay, but Leeds have moved quickly to secure his services following the expiry of his contract. He arrives on a free transfer, although Motherwell are pushing for a training compensation fee for the 6ft 2in Belshill-born forward who has been on their books for almost 10 years. Erwin played a key role in securing his former club’s Scottish Premiership status, scoring in the recent play-offs victory over Rangers. He is a former Scotland under 19s international who progressed through the Academy at Fir Park and made his senior Motherwell debut last summer following a productive loan spell with Arbroath. Eight goals in 11 appearances for the Scottish League One side, including a double on his debut, enhanced his bright reputation but an injury upon his return to Motherwell delayed his chance in the top-flight. His first Motherwell outing eventually came in last summer’s Europa League qualifying tie with Icelandic side Stjarnan and he backed it up with a goal against St Mirren on his league debut the following month. Erwin ended last season with 38 appearances to his name in all competitions, scoring six times. United’s fellow Championship side Rotherham United, meanwhile, have confirmed the signing of Aidy White on a free transfer after he was released by Leeds. 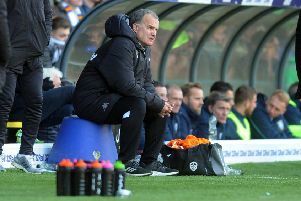 White, 23, has struggled with injuries in recent years, but did return to action in Leeds’ final match of the season, ironically against Rotherham. He has penned a one-year deal with the Millers.